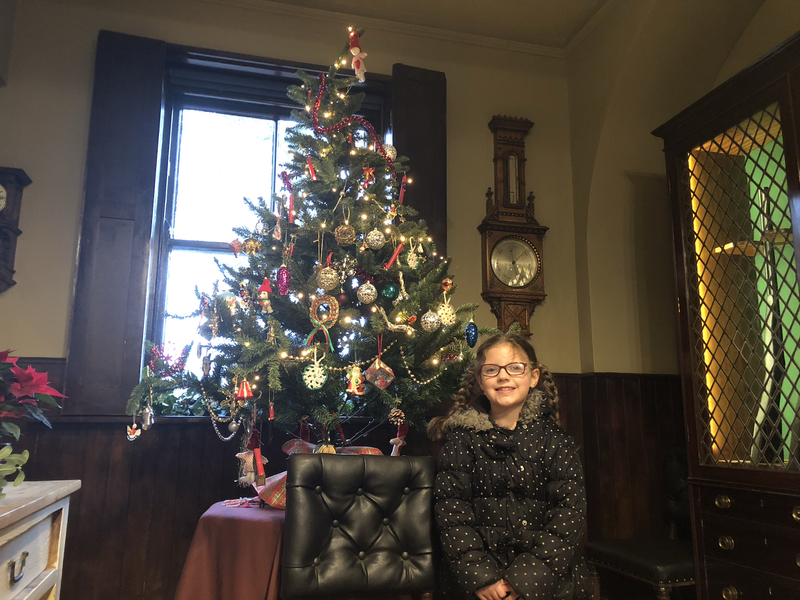 I was gutted to miss the press night at Lotherton Hall for their Christmas Experience, but we were kindly given a press pass for another day to visit. 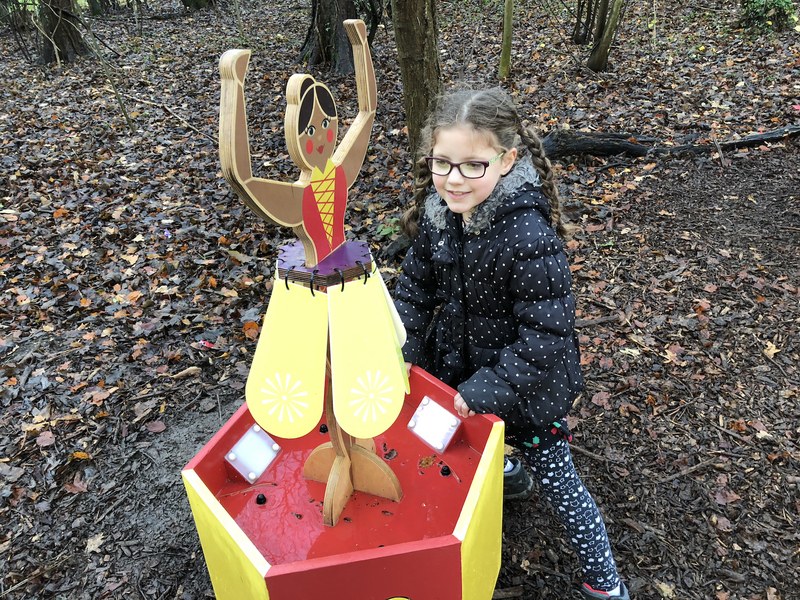 We’ve visited Lotherton Hall a few times, and so I was looking forward to the ‘Twelve Days of Christmas Woodland Walk’ and Enchanted Fairy Dell. We unfortunately chose the wettest day of the weekend to visit! 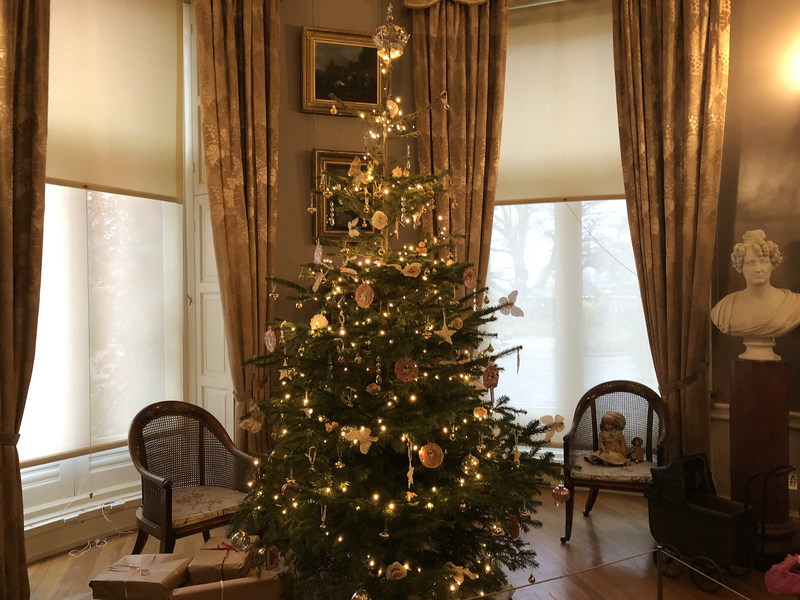 However, we took shelter inside the Edwardian country house, marvelling at the Christmas trees and the elegant table set for Christmas dinner. 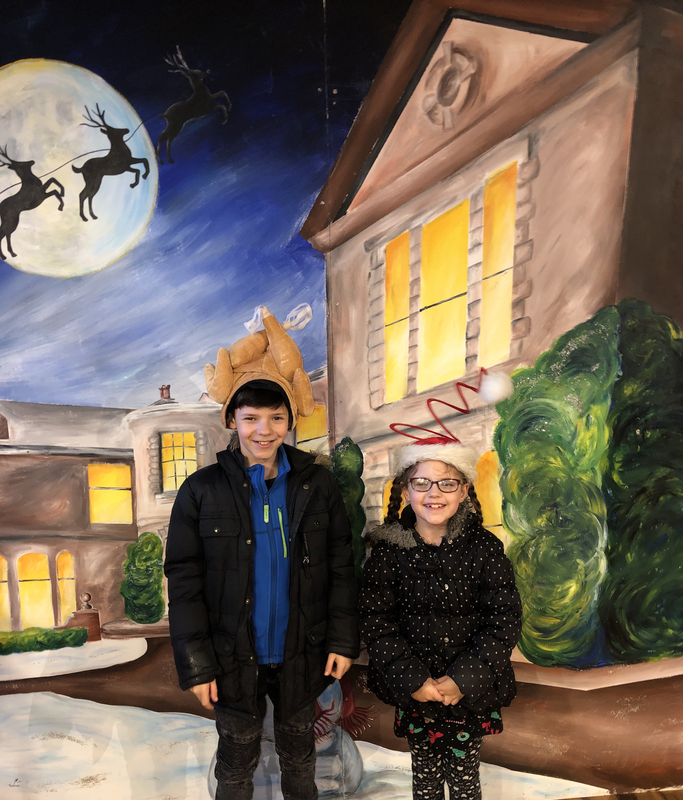 There was a selfie studio set up downstairs, and my kids had a great time trying on all the different Christmas hats, I spied a few big kids getting involved too. From there we walked over to Wildlife world. 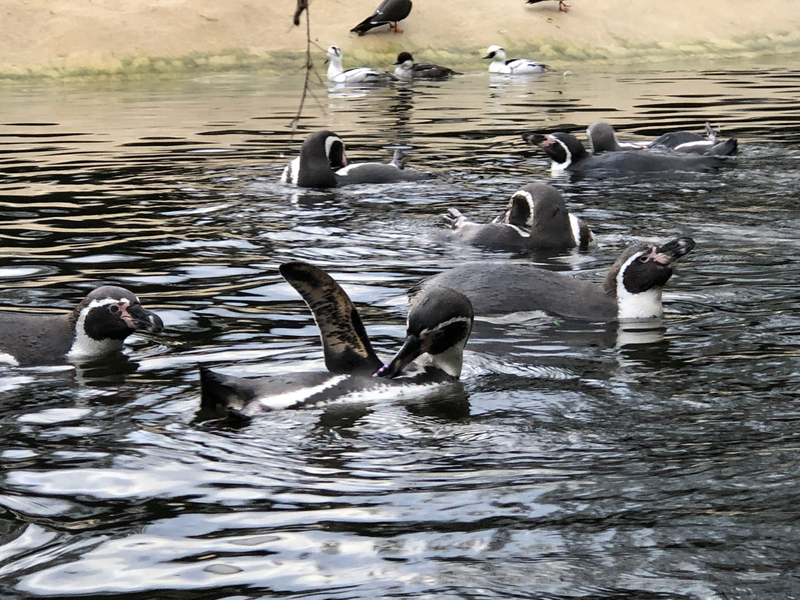 Open during daylight hours, Wildlife World has some new resident penguins and the area has been done up since we last visited. Although not part of the Christmas Experience I really wanted to see these guys! The Christmas courtyard had lots of twinkly lights and a snow machine, with Santa’s North Pole nearby this area was quite busy and the café had obviously had a lot of footfall. Santa’s diary was booked up, so we didn’t get to see him, but I’ve heard there may be spaces during the week. 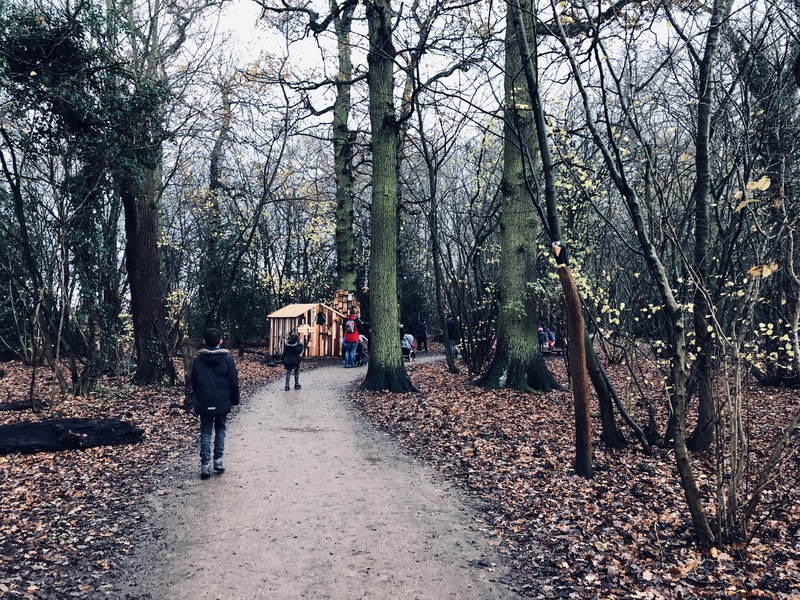 The kids wanted to see the Elf village where there were activities and a van selling hot drinks including mulled wine. At first the elf village looked closed, but I think due to the appalling weather the elves had to shut the rain out. 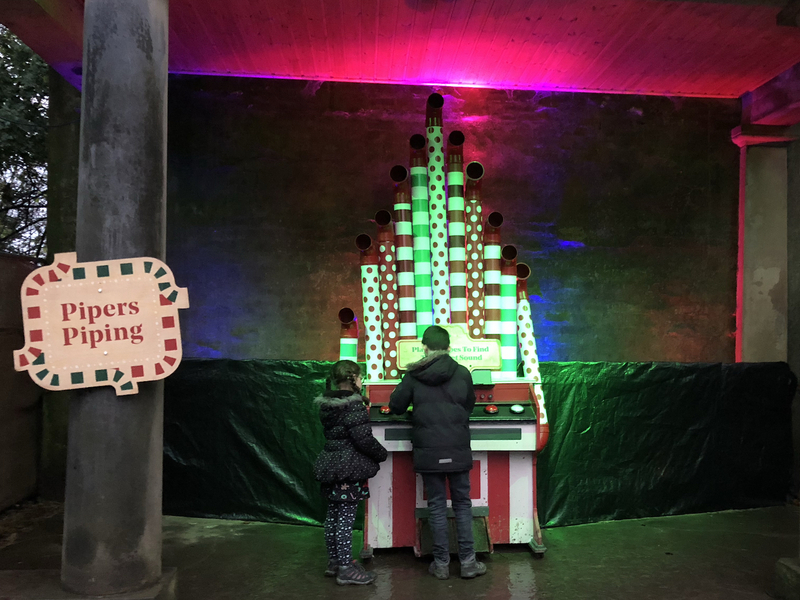 You could buy tokens for the activities inside the Christmas shop for £3 or 4 for £10. We weren’t sure at first what the activities were but peeped through the windows to see what the Elves were doing. There’s story telling and Christmas decoration making. 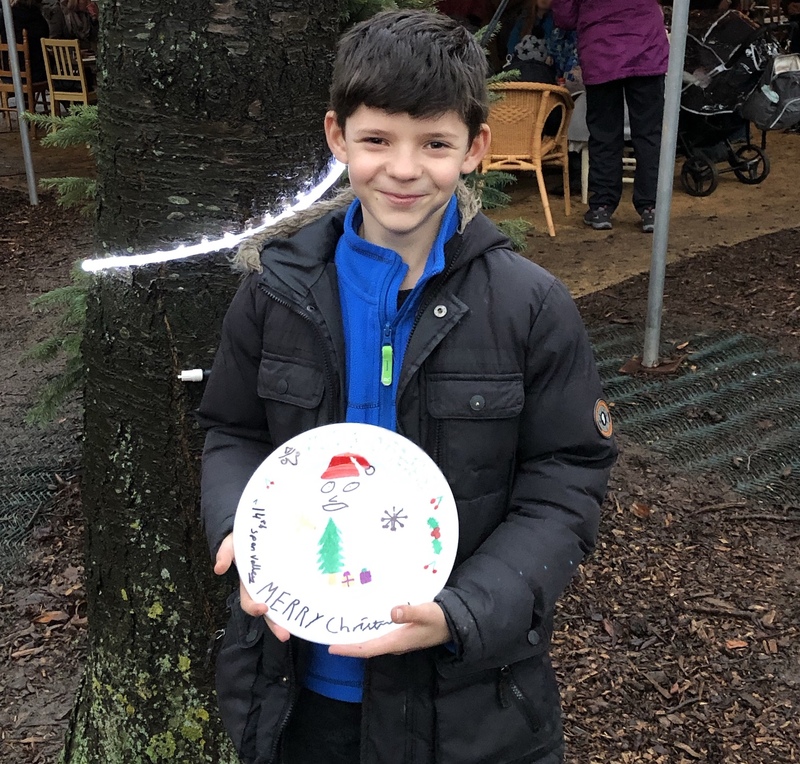 My Son chose to decorate a plate and had great fun making his design, he was really proud of it when he’d finished. 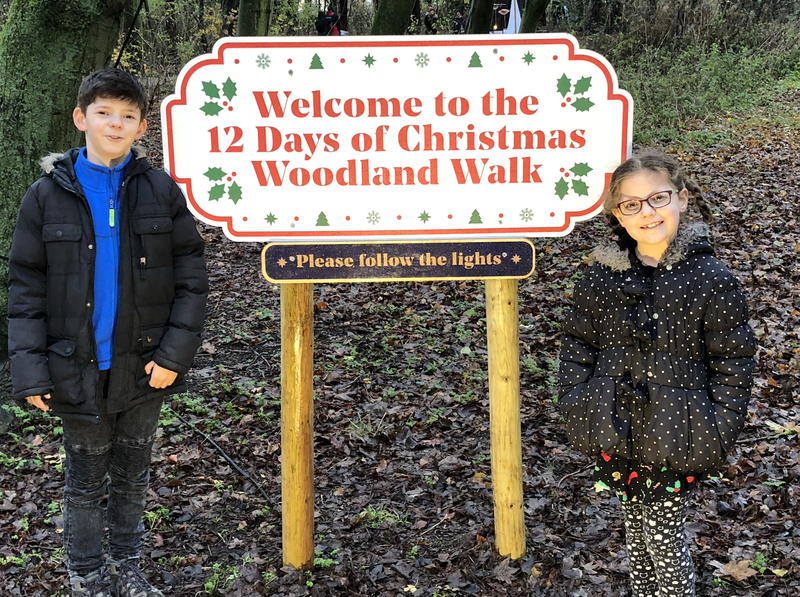 The Twelve Days of Christmas woodland walk and Fairy Dell, were of course my favourite, after all it includes magical lights, walking and woodland! I always enjoy Lotherton’s themed walks. As we walked past each day of Christmas, we were trying to sing the song and guess what would be coming up next. The kids loved this bit as many parts were interactive. I won’t spoilt it too much as part of the magic is seeing it yourself, but their favourite was the pipers piping. If you want to see Wildlife World, you’ll need to go during daylight hours. 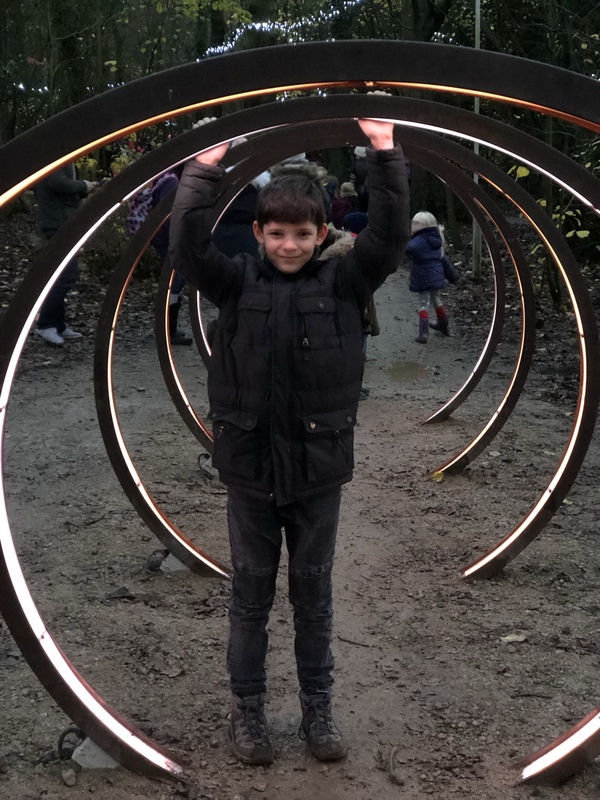 The lights on the woodland walk are probably seen best when it’s dark, I wished we had gone a bit later but didn’t want to miss the penguins! It’s still a nice experience at dusk. Wrap up warm and consider wellies as it can be quite muddy. Have you been to the North Pole and seen Santa? Let me know in the comments how you got on. We received a press pass entry into the event but all views are honest and my own.